Hola, dreamers! 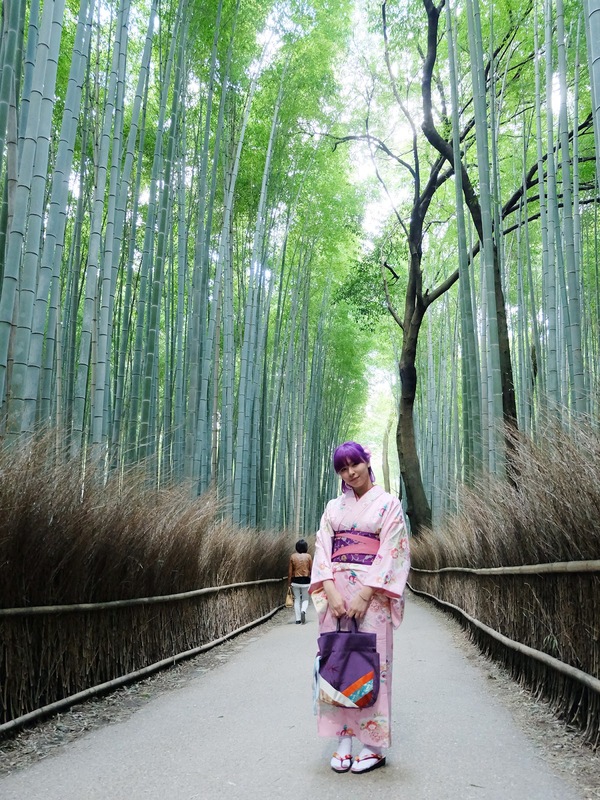 Are you ready for another #BigDreamerInJapan post? 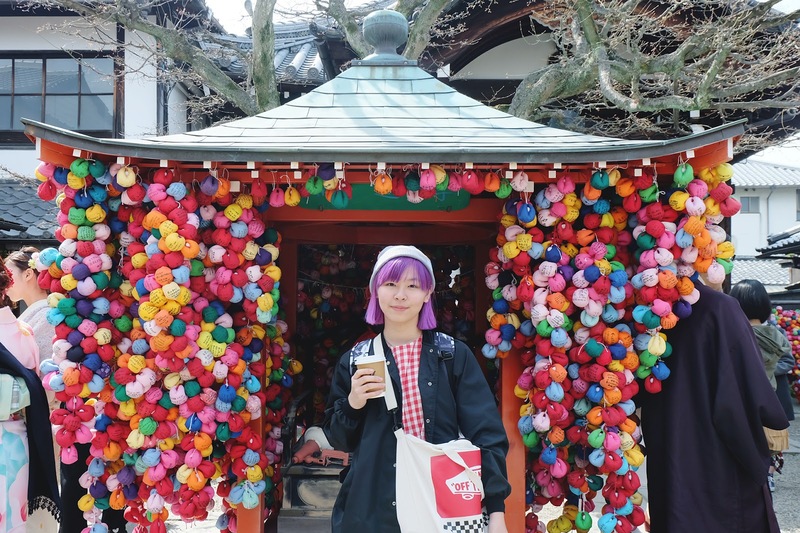 *drumroll* I'm writing you a (sort of) guide of one of my most favorite city in Japan, Kyoto. 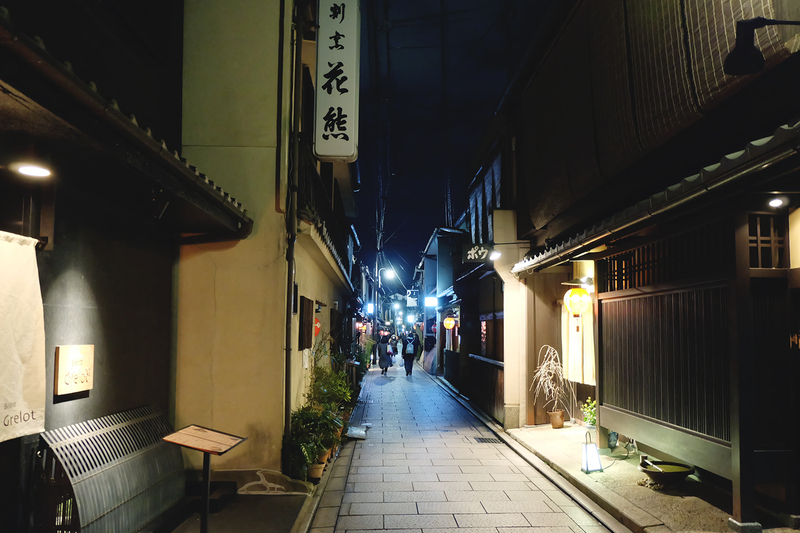 I don't know, but there's something in Kyoto that gave this peaceful... and nostalgic feeling. It's where the traditional and modern fused, creating a unique and memorable place to visit. I even cried in the train leaving to Tokyo, like why? It's my very first time and it's not even my home, lol. So, enough of my blabbering, let's start this post! 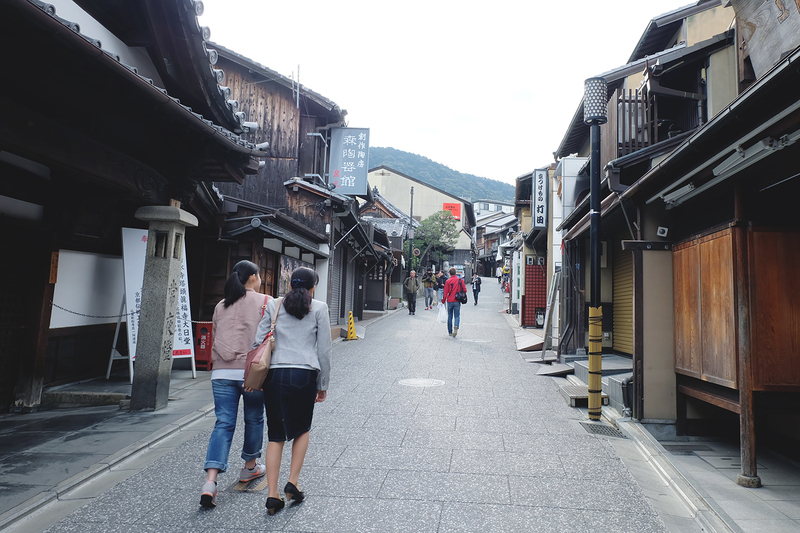 Kyoto was once the capital of Japan, best known for its countless historical buildings and sites, such as Buddhist temples, gardens, imperial palaces, Shinto shrines, and traditional wooden houses. 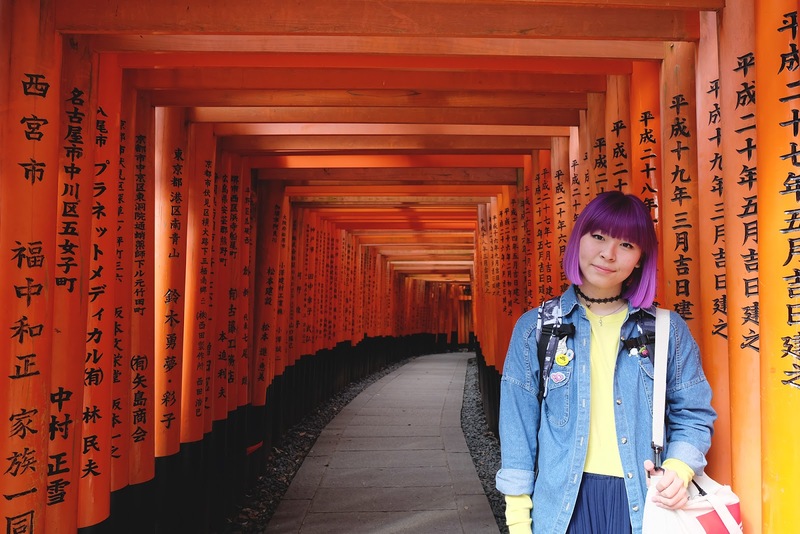 You will feel like you're legit in Japan in this city. It's also less hectic and people were so nice there. Yes, don't do what most people do (well, actually it's your choice). 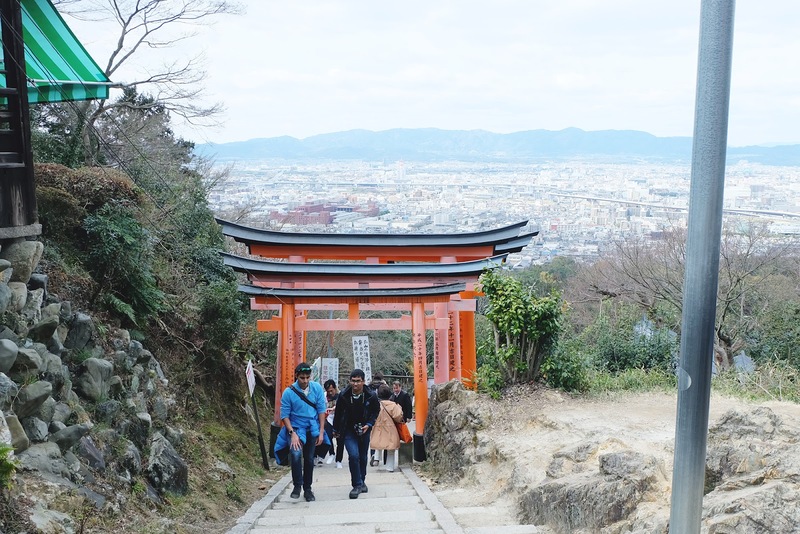 Most of tourists just visit Fushimi Inari to take pics with the torii gates and leave the shrine to visit another place. I will tell the details in another post, but basically there are some parts and check points along those torii gates path- you can leave or you can keep going. 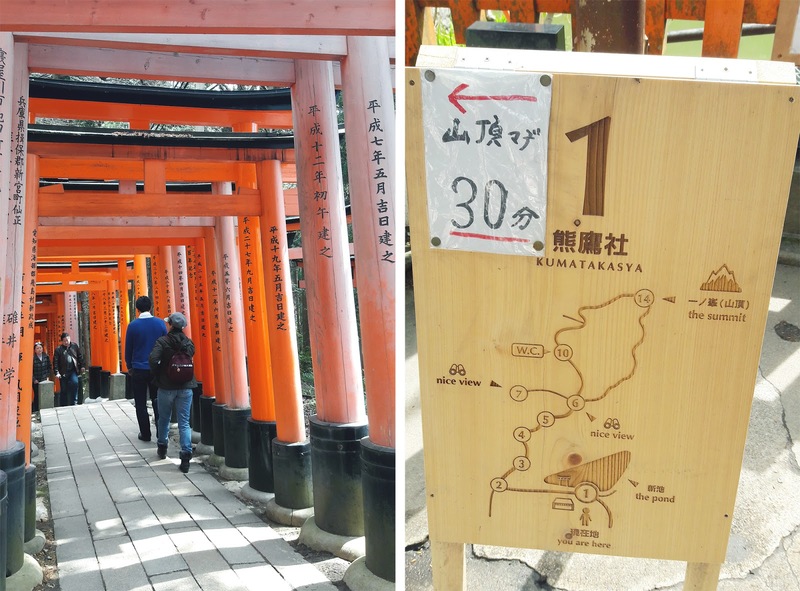 I decided to keep going because I wanted to explore Fushimi Inari to the fullest. It's my most-wanted place to go after all. It's kinda tiring but it was super fun, I also sacrificed going to Kinkaku-ji to make it to the top of Fushimi Inari. 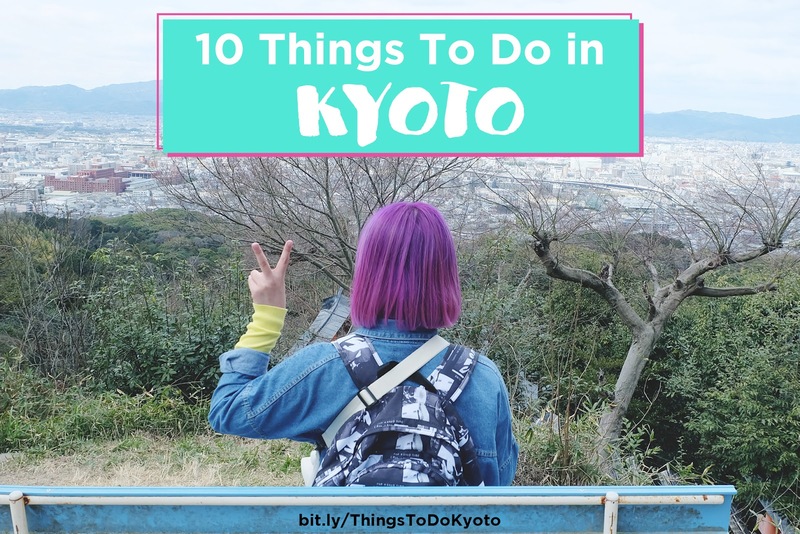 When you reach the point 7, you can actually see Kyoto City from above. It was sooo pretty in my opinion, breathtaking I can say, hahaha. 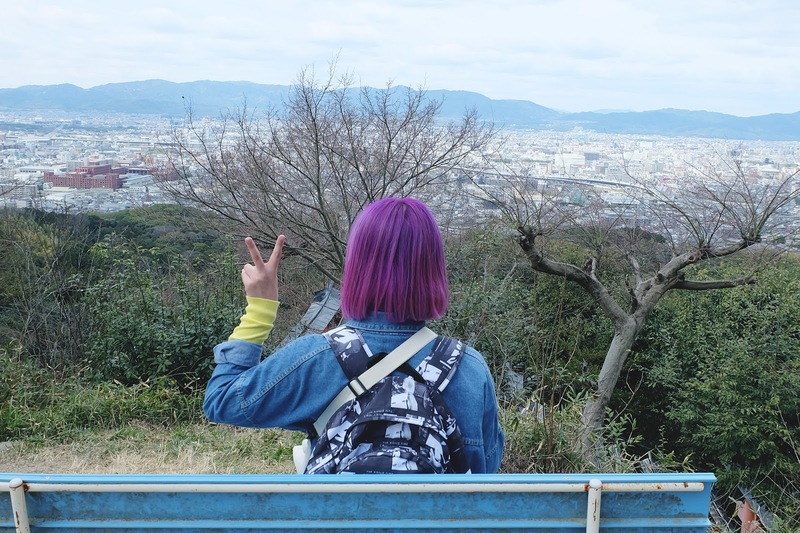 People usually stop here and go down after enjoying the scenery, but I really really curious what's on the top so I was like "I don't care, I will just f**kin' go up." ...So, what's laying there on the top? Stay tuned for the separate post about Fushimi Inari (guide and stuff). Tee-hee. Kiyomizu-dera is one of the must-visit place when you're in Kyoto. It's also on my bucket list since forever, but unfortunately there was renovation going so I couldn't capture the real beauty of the temple. But worry not, I can always come back there. 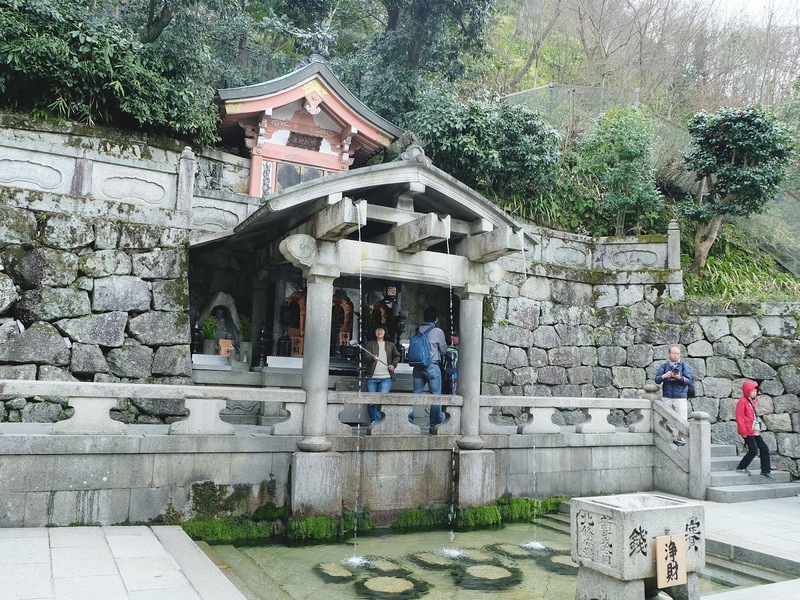 One mandatory thing to do when you're visiting Kiyomizu-dera is to drink the holy water from Otowa Waterfall. 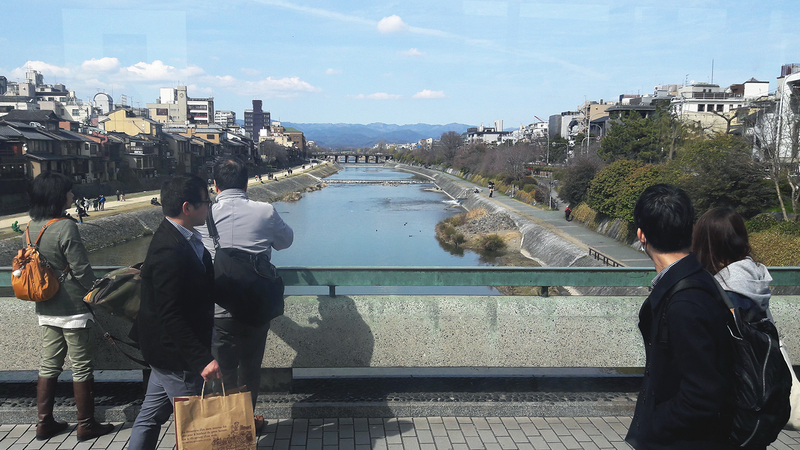 The water is separated into 3 stream, which each stream has different benefits such as longevity, success at studies, and fortunate love life. You MUST only drink from one stream, don't drink from all three because you'll considered greedy. I drank from one of the stream but didn't know which benefit I will get. Yeah, I just wished good things will happen. 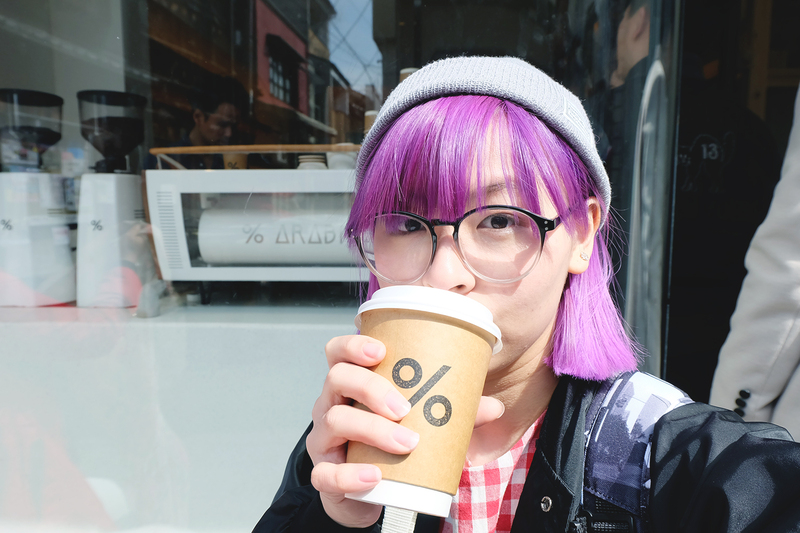 %Arabica is so famous and listed as one of must-visit cafe when you're in Kyoto. 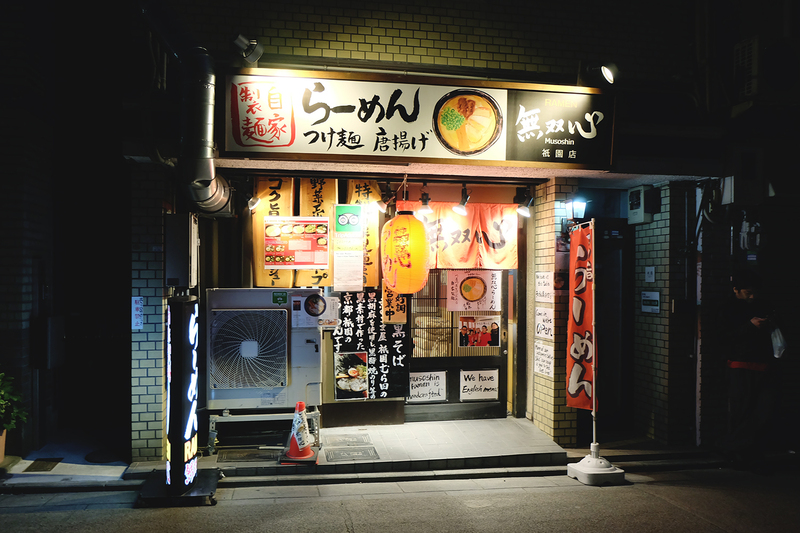 It has 2 branches, one in Higashiyama and one in Arashiyama. The one I went to is the Higashiyama branch, I ordered a cup of hot Cappucino. If you love coffee, trying their coffee won't hurt. The place is rather small and usually packed so I suggest you to just buy it and drink it outside,with the view of Yasaka Pagoda. People may know this colorful temple but most of them don't actually know the name. 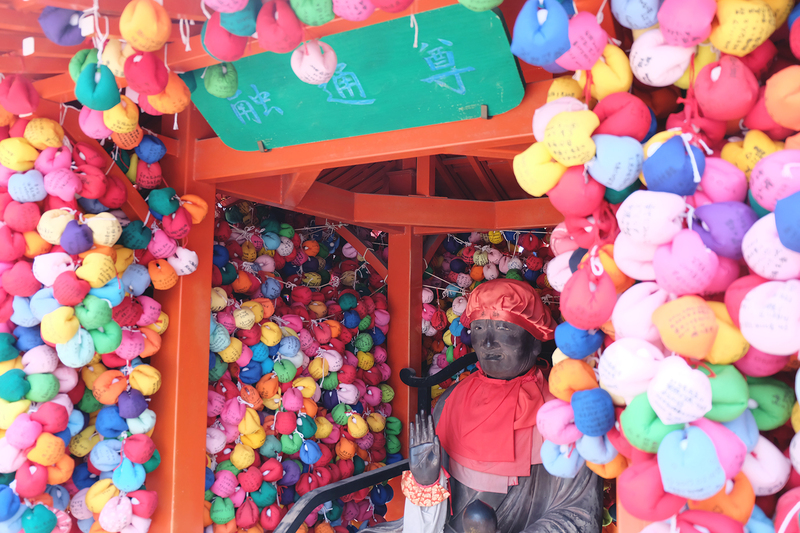 This colorful Kukurizaru at Yasaka Koshindo temple is located near Kiyomizu-dera and Yasaka Pagoda. Kukurizaru is representing the good faith monkeys, a symbol of self control. It's said that if you want your wish to be granted, you must sacrifice another desire. You can buy your own kukurizaru here and write your wish, but I didn't do it this time. 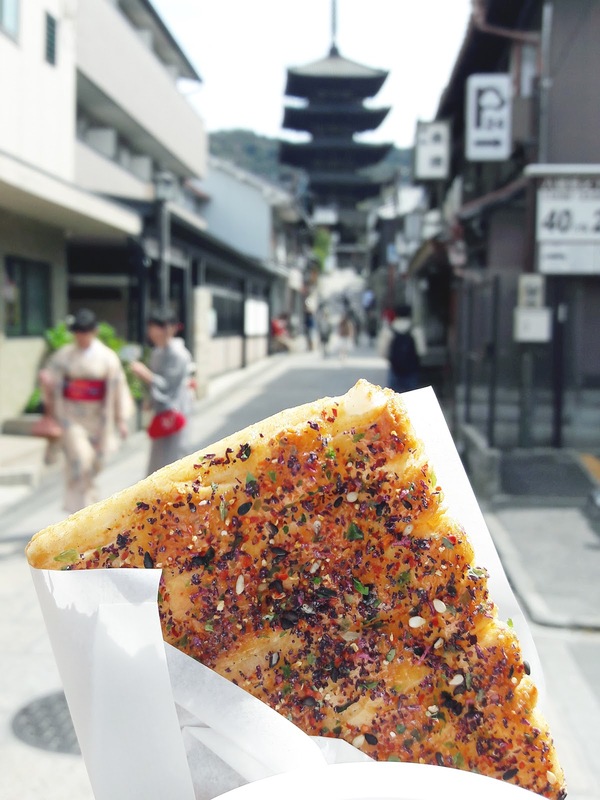 I just love doing something I think most people don't usually do or something that I can find in another people's recommendation/posts, this senbei for example. This senbei or rice crackers are sold near %Arabica Coffee, freshly baked and available in various flavors. I forgot what I exactly ate, maybe something like blended 7 spices? It's a little bit spicy and super savory, really love it! Only around 120 yen/piece. 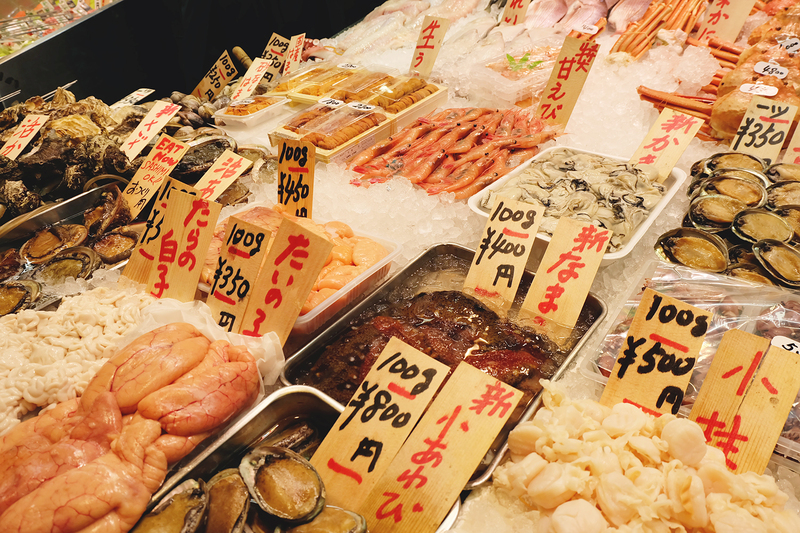 One thing I regretted about going to Nishiki Market: too little time! I thought Nishiki Market is all about seafood, all about food. BUT! 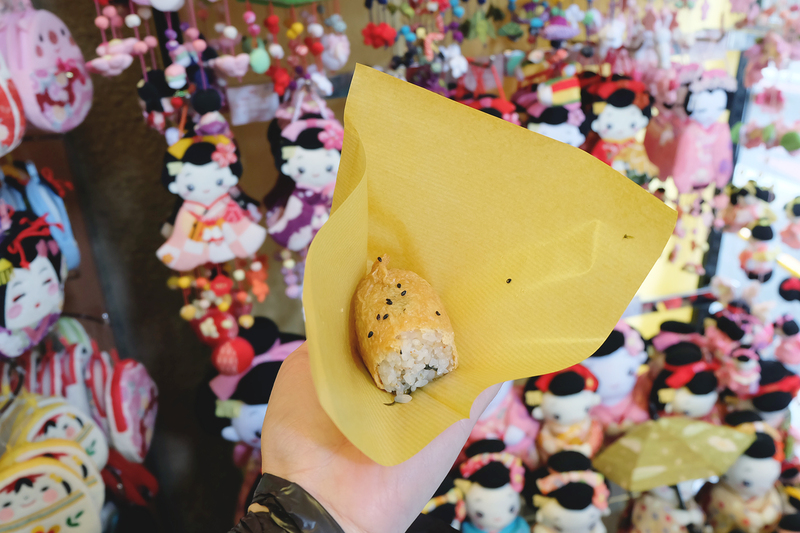 It turned out Nishiki Market offers a lot more, from beauty to fashion, and you can also buy omiyage (souvenir) here. Any body loving manga as much as I do here? 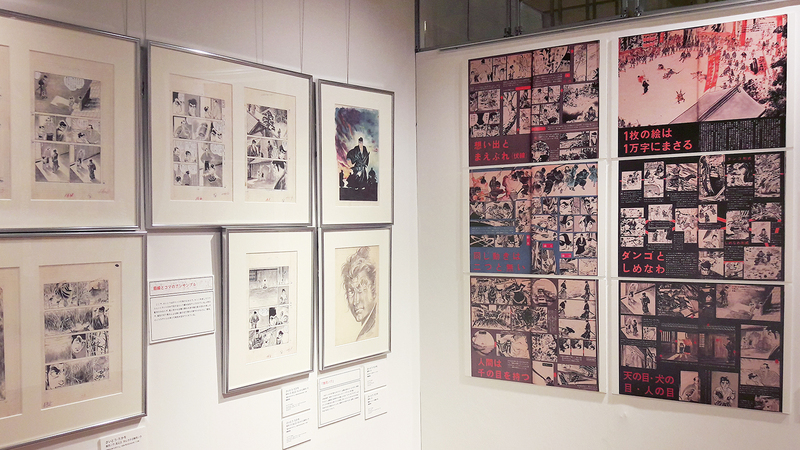 If you do, pay a visit to Kyoto International Manga Museum when you're in Kyoto. 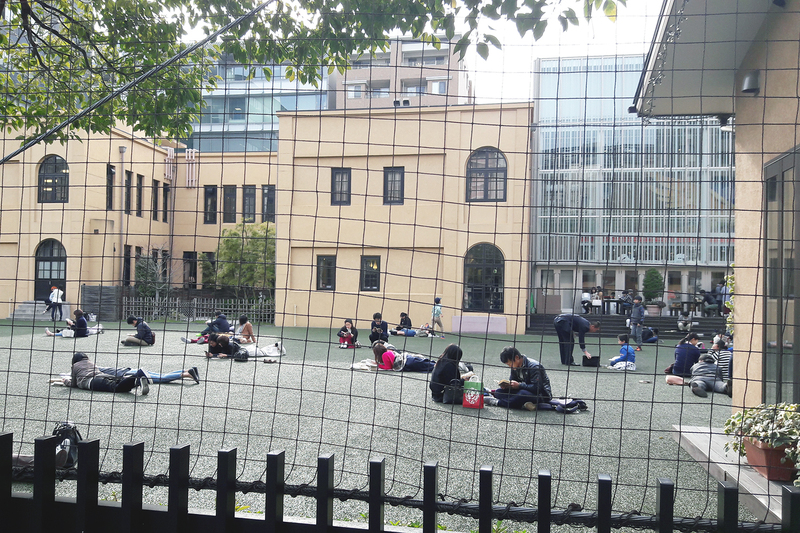 We can read manga at the park outside or inside, there are a lot interesting and amazing things you can see like manga history etc, mangaka exhibition, and also merchandise to buy. Please take note that you can't take photo of the manga and merchandise there, copyright, everybody~ Gonna show you more in separate post for more details. I had dinner at a ramen house called Musoshin in Gion, it's quite famous and also recommended by TripAdvisor, so I gave it a try. To get there you need to walk quite far from the crowd and to be honest it's kinda scary because it's suddenly so dark and silent....and those criminal drama scenes kept popping up, hahaha.